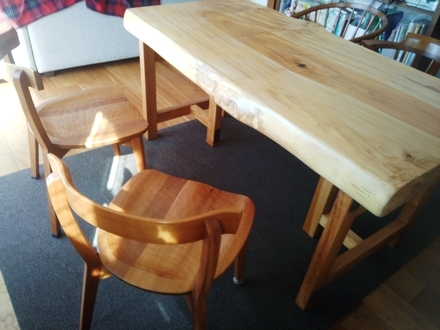 We made a delivery of a horse chestnut table top with same legs made from the same tree. 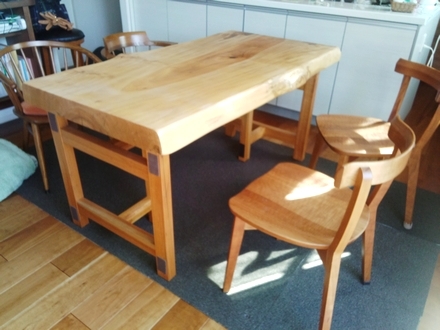 The chair is made from cherry wood. The soft wood color table set matched the bright dining very much, and the rug at the house was the perfect size for the table.